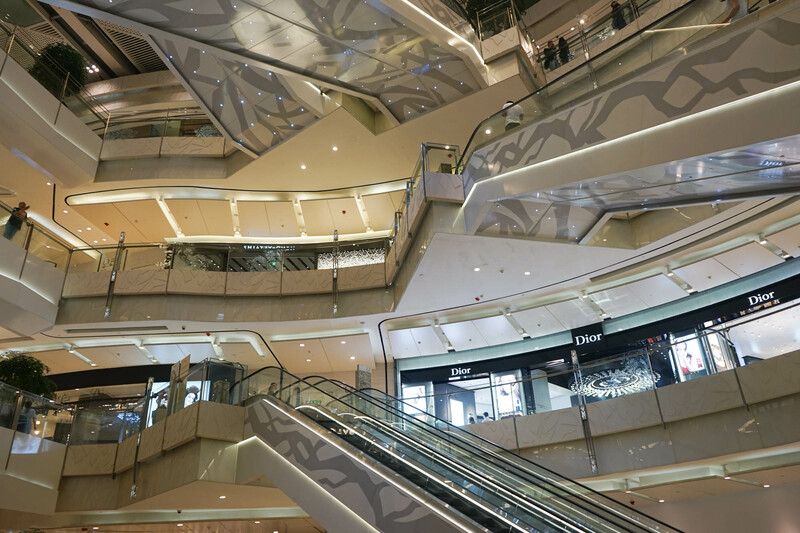 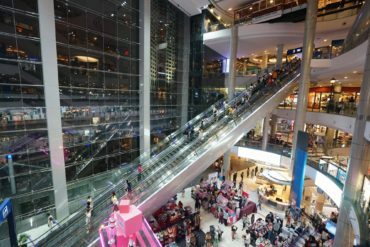 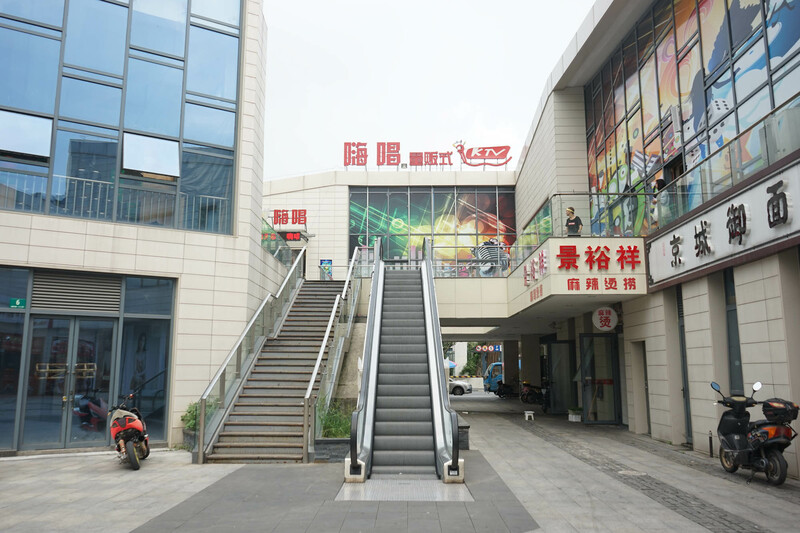 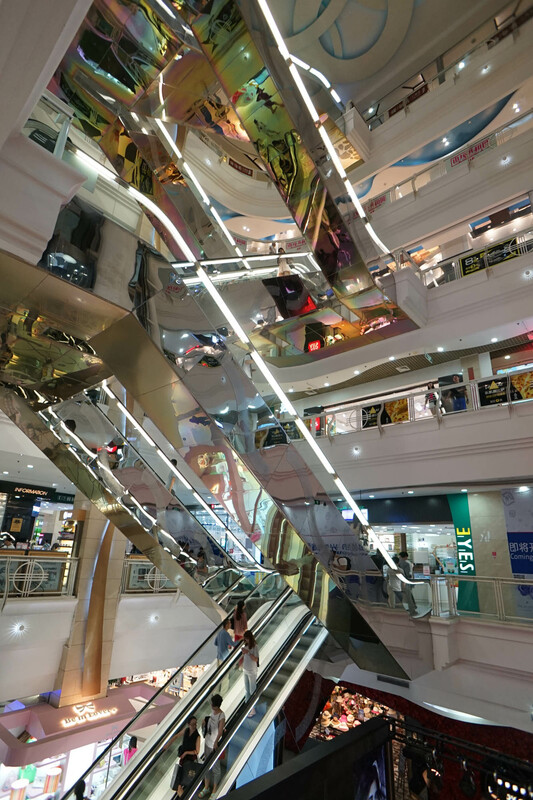 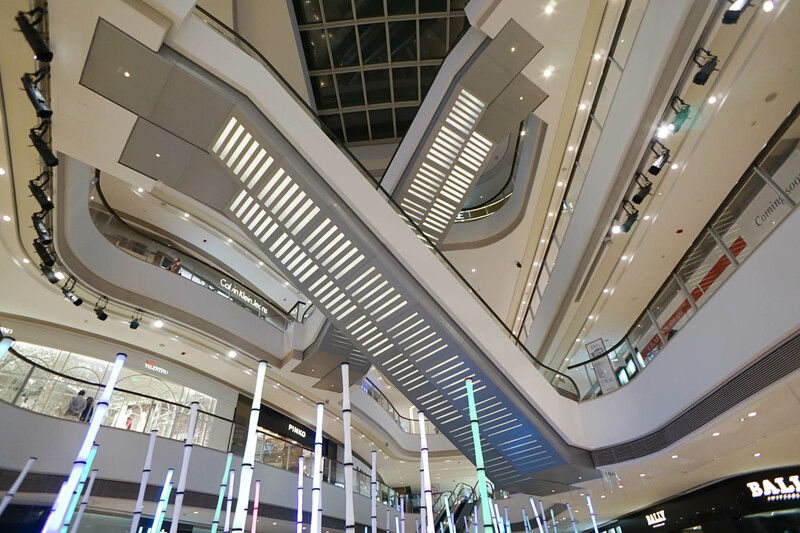 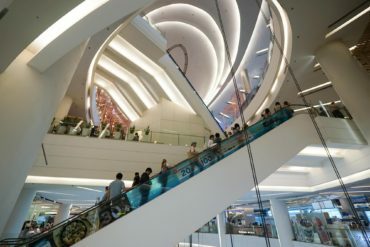 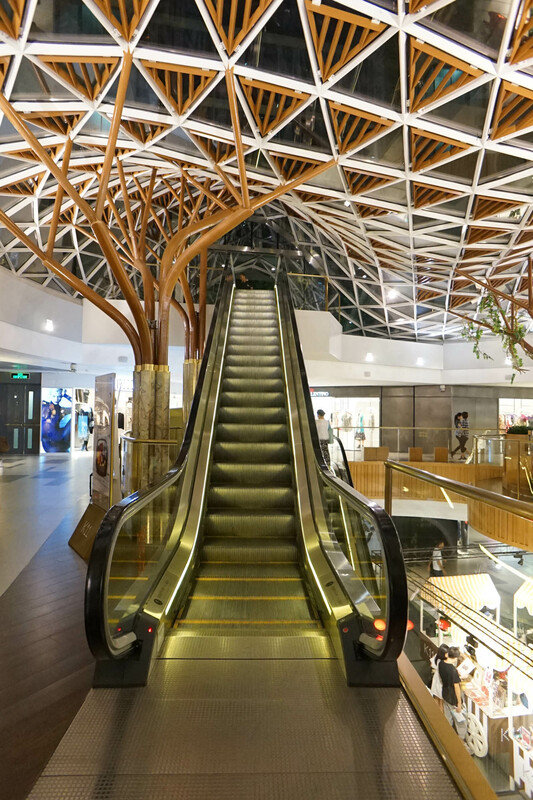 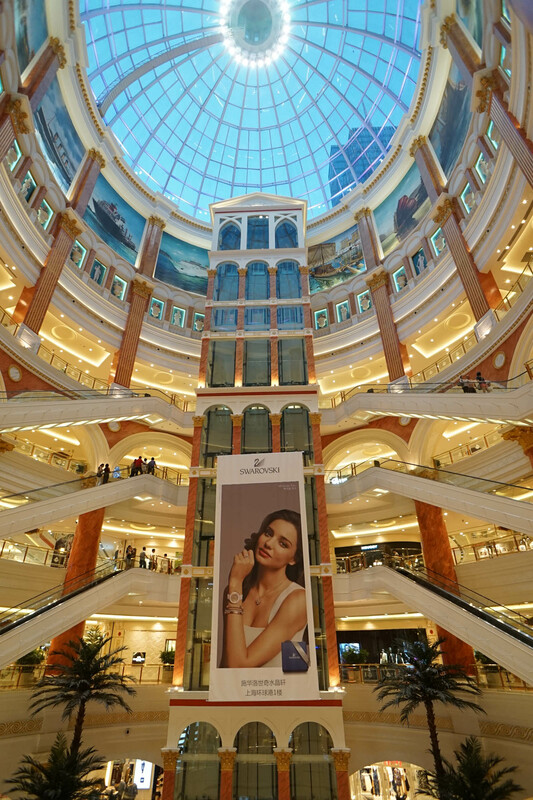 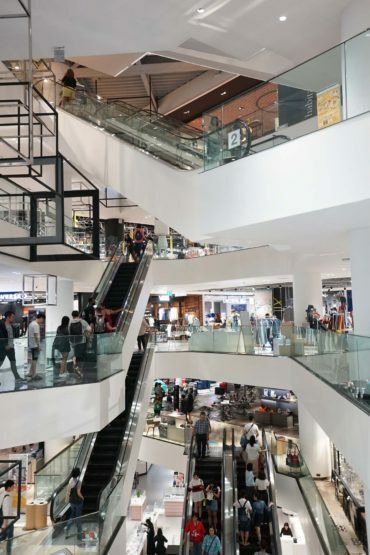 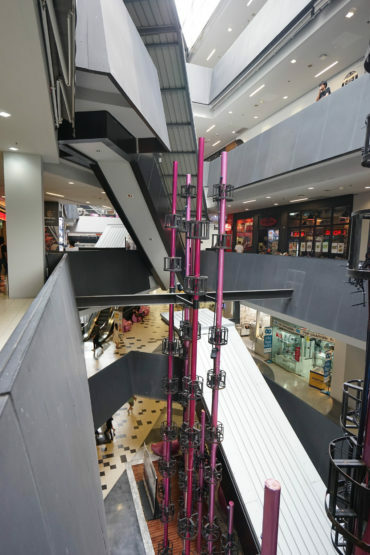 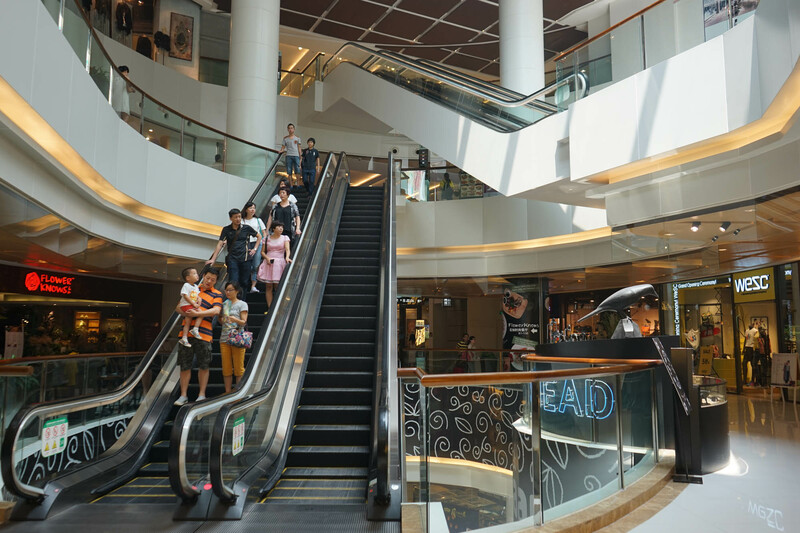 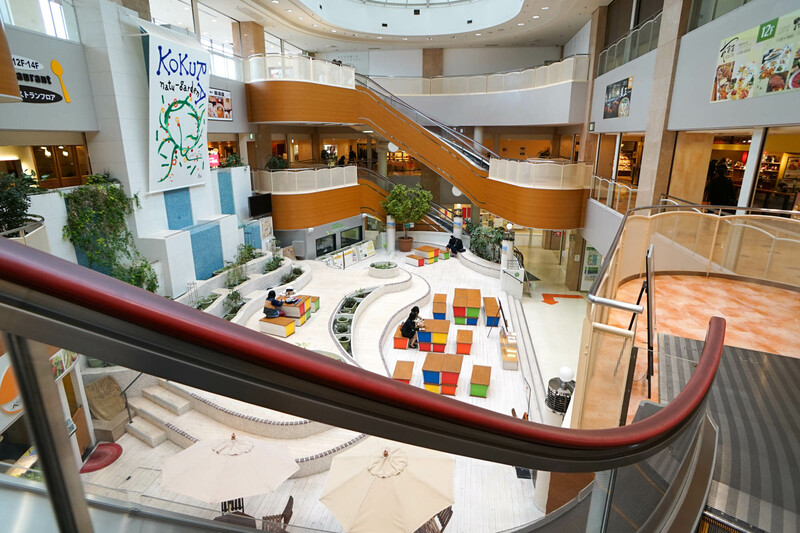 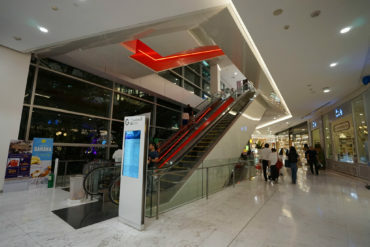 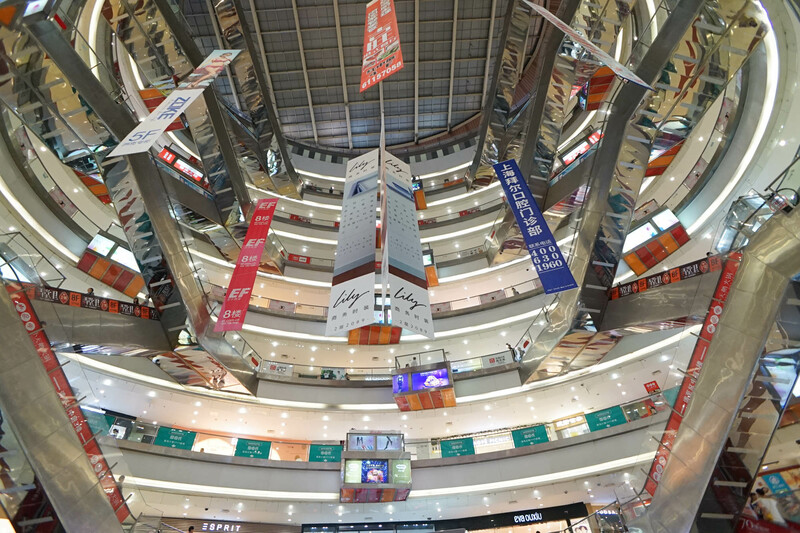 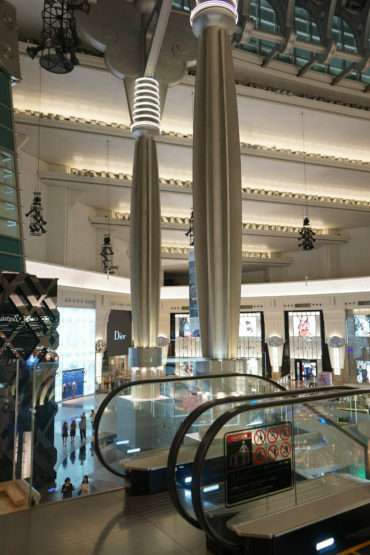 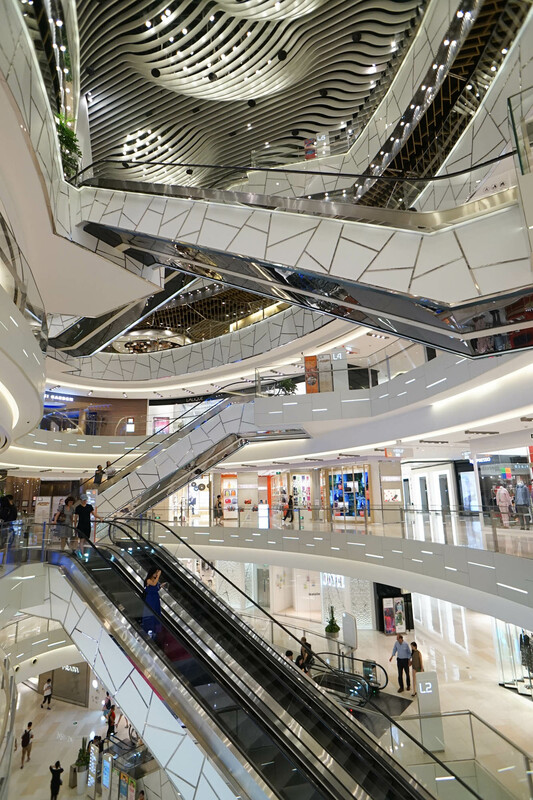 It is a relatively new shopping mall that opened in 2014. 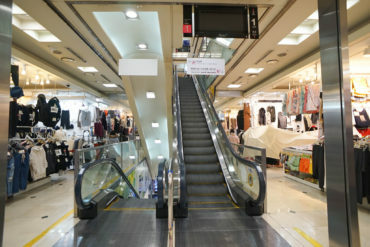 There is a strange colonnade like a semi-outdoor space between the building and the building, and the escalators are shifting little by little. 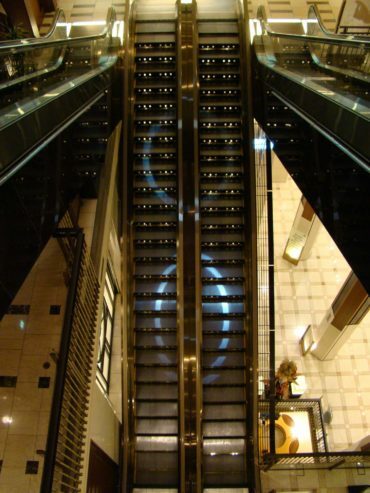 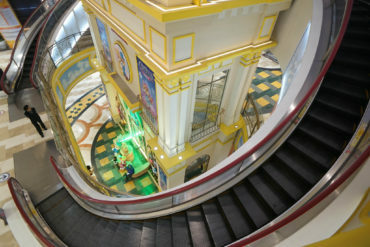 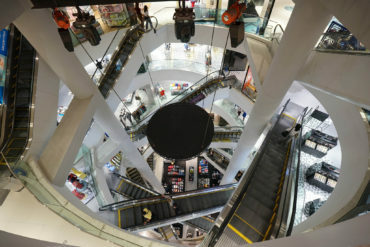 The motif of this shopping mall is the geometric pattern of monotone. 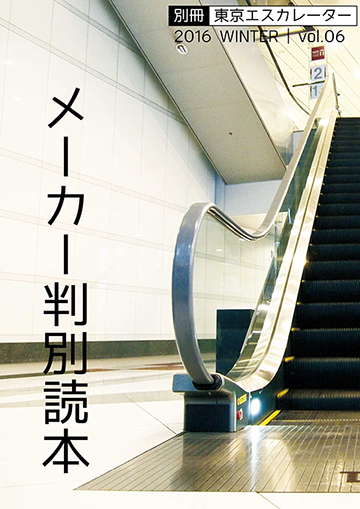 The escalator is also beautiful in black and white contrast.